Location, location, location. It’s so important to place your business in the right place. Since Dubai is one of the most visited cities in the world, it’s crucial to know that the placement of your business can decide your corporate fate. When you’re unsure of a location, it makes sense to have many options to choose from and avoid confusion in your corporate address. It’s always best to shortlist your options to 3-4 options so that way when you do a comparison of the pros and cons, it becomes easy to eliminate the others. fluidmeet has come up with 5 important factors when identifying and selecting your office. It is not essential they should all match your criteria of the location but even if 3 or above match, you should be sure of one thing, viola! You made the right decision! 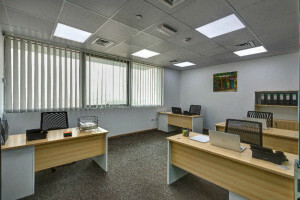 Why do you think a serviced office in Business Bay, AlBarsha, Sheikh Zayed Road, Downtown in Dubai is a good idea? There are many growing communities across Dubai, whether Business Bay, Downtown, AlBarsha, Media City, JLT where you find both multinational corporations and local business thriving for growth together. If your business is a start-up or an SME, being close to a MNC is a good motivation point. With these companies around you, it gives you another benefit, which is networking easily without having to do an event and it kind of provides a starting point for your business. You can host collaborations easily since employees and clients will find it easier to commute. First impressions are important and they can last longer than expected. Being in Business Bay, JLT, AlBarsha or Downtown may set a good impression on your clients. Your brand visibility will be automatically taken care of as this is one of the areas which is always buzzing. If you a B2B company, you will access to more clients. A person only starts a business to grow in future and its best to go for a prime location which also allows you to grow in the long-run. Make sure you have done your homework right, for example by asking your serviced office provider that how will he accommodate your growing business needs in the coming future. Will there be extra space available on demand? Shifting for a new business is risky in terms of financial costs as well as there is a lot of time wasted. attitude and productivity. So, having panoramic views in the office? A win-win for all. It helps your business to be in the prime location and it does become a source for your marketing. In addition, it also becomes an added fringe benefit for your employees. Being in Dubai, you would already have an idea now that Business Bay, JLT, AlBarsha, Sheikh Zayed, Downtown are like the most prime locations for business, and the small businesses or start-ups in these areas spend less or minimal on telling people how to get to their corporate addresses. Having your office in such areas only adds to the credibility of the business and makes you seem more authentic. Since these areas have hotels, and restaurants near them when sending out an invitation for anyone to meet it becomes easy for others as well. Dubai, being a metropolitan and a fast-paced city, where everyone is on a constant run, we know transportation becomes very difficult at times. So, let’s be practical not all your employees would have cars or driving licenses for that matter, and not everyone would have their respective accommodations near the office. Always think of your employees and this helps you give an upper-hand and realise what they have to go through. Make it easier for your employees to commute from home by choosing a location that is near walking distance to a Metro station. Employee welfare is essential when employees are happy and taken care of, business will automatically become more productive. Significant changes like: Employees will arrive on time. Absenteeism turnover will be low, and this also shows that how motivated they are towards their work. And when you hire new employees, the old ones will not only help you train them but they’ll have a sense of belonging towards their new premises. Your employees and clients need a parking space. Ideally, this should be included in your serviced office contract. Ask your service provider about parking spots. Will you get a parking space? If so, ask him/her the number of parking spots you will get? What about your customers and clients who visit you regularly? Is there a visitor parking option or any other alternative for them? Find out about parking costs. If you need help in finding a serviced office in Dubai, please do not hesitate to log on to: http://www.fluidmeet.com or download the fluidmeet app on the iOS and Play Stores, and we will able to guide you with each step thoroughly.